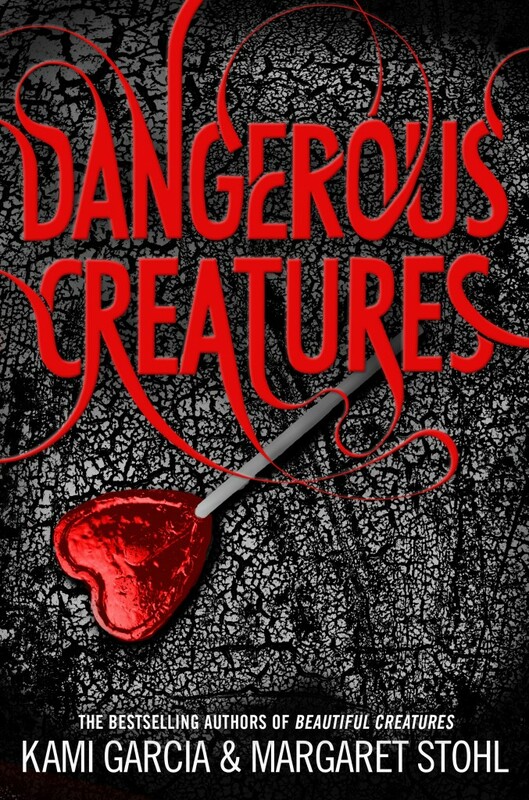 Here’s the next instalment of our look-back at the Beautiful Creatures series, as we look forward to the release of Dangerous Creatures. I hope you enjoy my review of Beautiful Darkness, book 2 in the series. One night in the rain, Ethan Wate opened his eyes and fell in love with Lena Duchannes. His life would never be the same again. Lena is a Caster and her family is locked in a supernatural civil war. On her sixteenth birthday Lena made a terrifying choice, which now haunts her day and night. And, as her seventeenth birthday approaches, Lena and Ethan face even greater danger. A Caster and a Mortal can never truly be together. 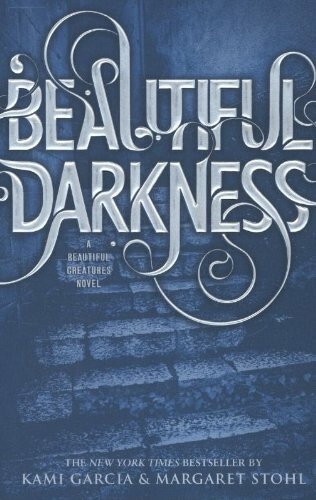 Beautiful Darkness is the second instalment in the Beautiful Creatures series, and sees Ethan and Lena struggling to cope with the dramatic fall-out of their confrontation with Saraphine – Lena’s mother – at the end of Book 1. I enjoyed reading that book, although I did feel it was a little crowded at times, but in Beautiful Darkness, I feel like Garcia and Stohl have really hit their stride. There’s the same absorbing plot and relatable characters, unencumbered by too much exposition; first page and we’re straight back into the action. The fallout from Saraphine’s attack has been severe; Ethan and Lena are mourning the loss of someone they thought would always be there and Lena seems to be going off the rails. It doesn’t help that, after all the build-up to her sixteenth birthday, when she would be claimed for Light or Dark, she is still unclaimed and must now decide her own fate. That means she now has responsibility for her relatives’ lives, as, whichever side she chooses, the other kind of Casters will die. Plus, Ethan is sure that’s something else going on and Lena doesn’t want to tell him. In fact, she seems to be running in the opposite direction, into the arms of a tall dark stranger on a motorbike. Things aren’t going to plan. All the things I enjoyed about the first book are back, in spades. I really responded to Ethan’s narrative voice; he’s honest but also dry and deadpan. Garcia and Stohl have done a good job creating his consistent tone, and also working in such a great sense of place through the local slang being used – food, places, religion, clothes and manners are all given the good old Southern treatment. We also get great interplay between characters with the return of Ridley, Lena’s Dark Siren cousin, who has intoxicated (or should that be enchanted?) Link, Ethan’s best friend. As well as the familiar cast, there’s also the introduction of two new characters who could potentially spoil the party. There’s John Breed, who seems to be an Incubus yet has the eyes of a Caster, and Liv, a British student Keeper who can’t help but get too involved. These characters, and the jealousy and conflict they cause, keeps the dynamic of the story’s central relationship fresh and interesting. John and Liv also act as conduits to Lena and Ethan discovering more about their pasts and especially their mothers, both of whom have unexpected secrets ready to be revealed. Finally, in terms of characters, it becomes clear that Saraphine isn’t the one Dark Caster Ethan and Lena need to be worried about; the legendary Abraham Ravenwood, historical bogeyman of Gatlin, has returned with trouble in mind. Another break from Book 1 is that we journey farther afield this time, rather than remaining in the increasingly claustrophobic Gatlin. Our new ‘Scooby Gang’ head down into the Tunnels, the Caster underground highways that defy the realities of space and time. These add another layer of risk to proceedings. Ethan, Link and Liz must do their best to rescue Lena from the danger to which she’s unwittingly exposed herself. I was worried that these might prove to be complicated but actually, they’re just accepted as a part of the world and don’t require any further explanation. That’s something else I enjoyed about Beautiful Darkness – we don’t need to spend too much time on the mythology of this world; we’ve met the main players, we’ve learned the way things work – or are supposed to – so plot and character are centre stage. I have to say, I real enjoyed reading Beautiful Darkness. After having a couple of reservations about Beautiful Creatures, I raced through this instalment in just a couple of ‘chunks’, immediately drawn in by the fast pace and unexpected twists. I’m hoping that the series keeps improving. As promised last week, we’ve got the cover of Dangerous Creatures here for you. Don’t forget it’s already out to preorder if you fancy giving it a try. Previous PostPrevious Time for another Hear Read This! Next PostNext Podcast: New Books!